Sometimes, vacations are about more than hanging out by the pool or lounging on the beach. While that can be fun, if you’re the kind of person who is searching for something a bit more exciting and adventurous with your vacation, you’re probably looking for a destination spot like Belize. Set on the eastern coast of Central America and bordered on one side by the Caribbean Sea, Belize is a country that is exploding with both diverse culture and landscape. Luckily, even if you are searching for a vacation filled with sandy beaches and poolside bars, you’ll find just the place you’re looking for in Belize. But, if you’re searching for something like tree-top suites and zipline adventures and tropical jungle themes, Belize is right for you. Take a look at this list of hotels and resorts and decide which is the one for you. Only a short walk away from Placencia Village in Belize, Chabil Mar is an oceanfront resort just off the coast of the Caribbean. It has 400 feet of private beach with a pier that extends out over the glistening blue waters of the Caribbean. Chose been a suite for two, or a luxury villa if you’re bringing the whole family. Chabil Mar has a Belizean gourmet restaurant at the resort, as well as luxury beach and pier dining experiences so you can have dinner alongside the beautiful Caribbean waters. 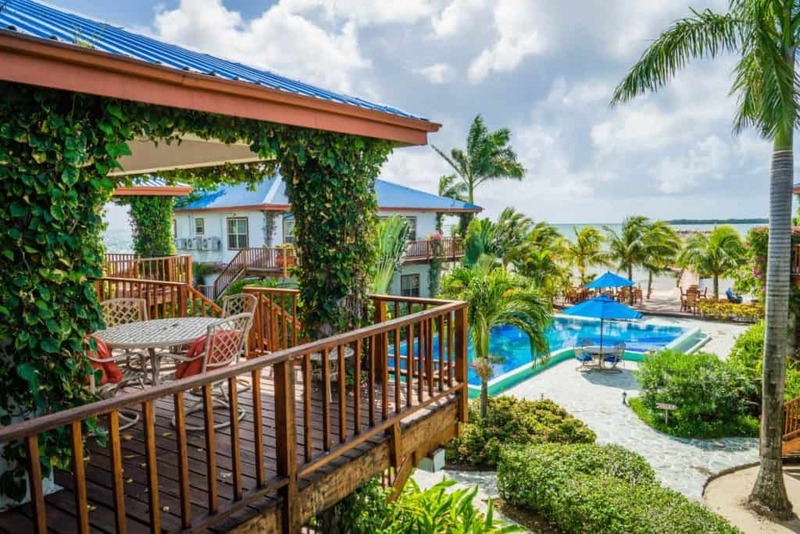 And since this resort is so close to the Placencia Village center, feel free to explore the culture of Belize – or stay on the private beaches and enjoy your time by the water.